Almotamar.net - Local media sources disclosed Thursday a political extortion practiced by the Muslim Brotherhood in Yemen, the Yemeni Congregation for Reform (Islah) party over control of one of the largest government buildings to be taken as headquarters of the party in the capital Sana'a with the aim of expanding its trade activities and investment projects without taking into consideration the rest of the Joint Meeting Parties. While the sources indicated to ongoing negotiations and dialogue between the Joint Meeting Parties and the president of the republic on formation of the elections committee, the sources disclosed about an agenda of the Islah as part of its negotiations. 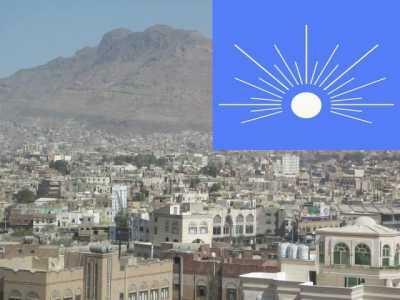 According to a report by Elaf private sector newspaper in its latest issue quoting political sources as saying that the Islah demanded to be given its own headquarters suitable for its status in the political arena, proposing the Defence complex located in Bab al-Yamen or the building of the General Command located in Al-Qiyada Street. The Islah individual request came in coincidence of the negotiations and dialogue going on about formation of the elections committee a few days from finishing a study of amendments concerning the elections law by the specialised parliamentary committee. Chairman of the special committee entrusted with studying the amendments presented by the government on the election law Sheikh Mohammed Bin Naji al-Shaef told Elaf newspaper that members of the committee from the opposition parties have for the third time proposed postponement. He indicated that delegates of parties parliamentary blocs were told to inform their parties that the concerned committee, in addition to a chairman and a reporter would on Saturday as the last date given to those parties by the committee, would take measures they are authorized with constitutionally and legally for referring its report to the parliament on the amendments related to formation of the higher committee for elections from judges. Al-Shaef added that they at the committee worked to observe the political character of amendments and give a chance for the parties accord particularly that there are dialogues, similar to negotiations between the parties and the president of the republic to reach an accord result between the two sides concerning the supreme commission for elections. Elaf newspaper said the opposition parties leadership prefers negotiation and dialogue with the president of the republic personally.